If you have tried our Chianti Classico and have liked it, chances are that you want to know a little bit more about the Chianti Classico in general. Chianti Classico is mainly produced from Sangiovese grapes along with a small portion of the Merlot. It is considered one of the most admired red wines in the United States. It is known for its dryness and its ability to pair up with a wide variety of foods. Chianti Classico is called Chianti because it is made in the Chianti region in Tuscany. This area in central Italy is known for its unmatchable beauty and splendor. Not only does it have beautiful landscapes but it also has a rich history of food, culture and art. For a Chianti Classico to really be classic, it should be produced in Chianti region and should be made out of at least 80% Sangiovese grapes. Even though, most of the Chiantis today are made with Sangiovese grapes only, Chianti Classico also has a hint of Merlot, Syrah or Cabernet as well. This is done to add some softness to the finished product. There are two basic versions of a Chianti wine. The first one is the regular Chinati and the other one is Chianto Classico. 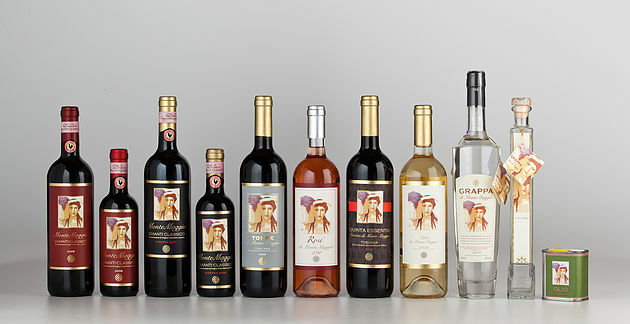 The reason why Chianti Classico is more expensive than regular Chianti is that Chianti Classico is more highly regulated and thus, is more expensive to produce. While General Chianti covers a scope that’s comparatively much wider, Chianti Classico guards a territory that is quite limited. General Chianti and Chianti Classico also differ when it comes to taste. This is because the rules of composition of the wine, and crop per Ha are limited in the case of Chianti Classico. Nevertheless there are many kinds of Chiantis that are made from the best grapes of a given estate, and the process of making them is less strict and less expensive. The variations are usually clearly labeled on the bottle. Chianti and Chianti Classico are quite rustic and earthy in taste and are exceptionally high in tannins. However if the wine is well balanced, you won’t feel the harshness. It will almost taste like a Pinor Noir in terms of color and softness. Aging of a wine is a factor that It also depends very much on how each winemaker ages the wines. In Chianti, most enologists use a lot of wood which helps in masking delicate tannins of Sangiovese and thus cause the taste of the wine to be harsh and aggressive. Montemaggio tries to make wines soft and delicate and elegant, which truly express the original taste of Sangiovese grapes and its wonderful terroir. Chianti has a smell and taste that will remind you of strawberries and cherries. Being high in acidity gives it an advantage of going with all kinds of foods. Chianti Classico also ages very well. Even though many people prefer pairing the Chianti Classico with classic Italian food, it can practically be paired up with anything that is meant for eating whether it is pizza, pasta or it can also be consumed in its own. If you haven’t tried our Chianti Classico and Chianti Classico Riserva yet, do try them out today.